Honorary Director of JINR's Laboratory of Computing Techniques and Automation, Corresponding Member of the Russian Academy of Sciences, an outstanding physicist- experimenter, and a gifted scientific organizer, Professor M.G.Mescheryakov died on 24 May 1994. Mikhail Grigorievich belonged to the glorious generation of scientists whose dedicated activity in the hard post-war period resulted in constructing new cities and establishing new centres for research in the field of nuclear and elementary particle physics. Professor Mescheryakov's scientific activity is inextricably associated with the construction of powerful accelerators and the development of investigations in nuclear physics, elementary particle physics as well as the automation of scientific research. In 1940, the cyclotron of the Radium Institute of the USSR Academy of Sciences was put into operation with his participation. With the help of the machine M.G.Mescheryakov experimentally discovered a strong fluctuation of radiated capture cross-section values of fast neutrons with the increase of a nucleus mass number. At the beginning of the Great Patriotic War M.G.Mescherykov joined the people's volunteer corps and in July 1941 he was in the troups at the Leningrad front. After being wounded and hospitalized he had to leave the Army. In July 1942 he returned to the Radium Institute, which had been evacuated to Kazan University, and he got involved in the atomic research. 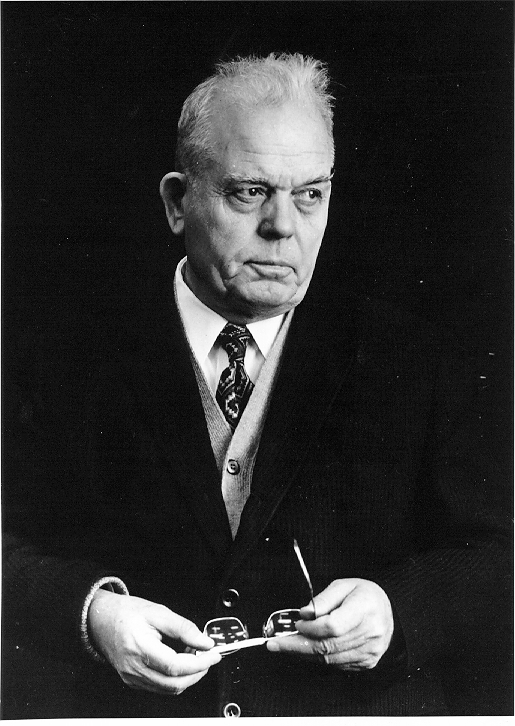 In 1946-1947 M.G.Mescheryakov worked in the USA as an expert of the UN Atomic Committee. Upon his return to the Soviet Union, he was appointed Deputy Director of the Institute of Atomic Energy and Scientific Leader of the work on designing and constructing the then most powerful 680 MeV synchrocyclotron in the area of Bolshaya Volga settlement (now Dubna). In 1947—1949, at the cyclotron of the Institute of Atomic Energy he carried out a wide spectrum of investigations resulting in his Doctoral Thesis in 1950. 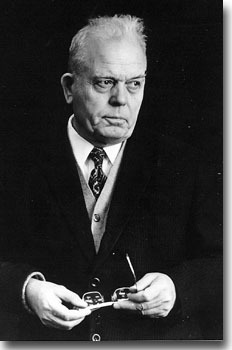 When the 680 MeV synchrocyclotron was put into operation in 1949, M.G.Mescheryakov became Head of the research centre established on its basis-the Institute of Nuclear Problems of the USSR Academy of Sciences. He was Director of the Institute till 1956. Since 1950 M.G.Mescheryakov concentrated on strong interactions of nucleons at high energies. The results of his research found international recognition and were confirmed by investigations at other Laboratories. The cycle of investigations in nuclear structure using proton beams with an energy of 660 MeV, initiated by M.G.Mescheryakov in the 1950's, resulted in the discovery of clusterization phenomena in nuclei and exerted a consider- able influence on the subsequent development of relativistic nuclear physics. In 1966, the Laboratory of Computing Techniques and Automation was established at JINR under his leadership. The new technical facilities available at LCTA extended the area of experimental and theoretical investigations and opened new research fields. To the very last M.G.Mescheryakov took active part in the discussions on the development of JINR, defending the freedom of scientific work. Being a professor at Moscow State University since 1953, M.G.Mescheryakov paid great attention to educating and training the new generation of young scientists. He was a member of the Scientific Council in using the computing techniques and automation tools in experimental nuclear physics, a member of the Editorial Boards of the journals «Nuclear Instruments and Methods» and «Physics of Elementary Particles and Atomic Nuclei». M.G.Mescheryakov's wartime and scientific merits were honoured with orders and medals of the Soviet Union. His great contribution to the organization of scientific cooperation was also marked with orders and medals of the JINR Member States. He was twice awarded the USSR State Prize. "JINR News" 3/94, p. 55. M.G. Mescheryakov "About the time unique and unforgettable" - Rus. M.G. Mescheryakov (reminiscences) - Rus. M.G. Mescheryakov is the first Director of the research centre in Dubna - Rus. M.G. Mescheryakov (100 years from birthday) - Rus.